Optimal document management is one of the greatest challenges that professional practices face. Cloud Document Management System Hosting (‘Cloud DMS’) provides SMBs with reduced costs, improved service, increased productivity, and enhanced regulatory compliance. Businesses that adhere to a strict paper record and filing system create a logistical dilemma for themselves, most especially during a busy tax season, for example. Every time a client orders a copy of a file it might take an employee 30 minutes or more to locate it. Switching to paperless is more efficient and economical, resulting in increased profitability. Cloud DMS provides businesses with a central location to copy, manage, share, and protect all of the office files, both paper and digital. It also allows firms to select which platform and protocol they want to utilize: private cloud or hybrid virtualization. Post quick-gains to your balance sheet. DMS frees up admin time spent searching and retrieving documents. For example, a cloud based document management system can reduce dependence not only on expensive physical hardware and server licensing fees, saving a company’s office space and IT expenditures, and it also delivers anytime/anywhere access to critical files and documents, even on the go via mobile. A well-executed cloud hosted paperless system not only reduces paid man-hours, it can reduce several cost factors including paper and ink expenses, document storage space and even positively affect carbon credit. The innate efficiencies of a cloud-based paperless office can be capitalize on when conflated with other productivity tools and technology such as project management. Envision an office where work instructions for each step of a process automatically opens when staff perform the precise step. Secure paperless offices see amazing declines in cost, turnaround time, risk profile, training period and better performance on key growth factors. These growth metrics enable a business to do more with less time and money. Efficiencies lead to more customers and greater profits. 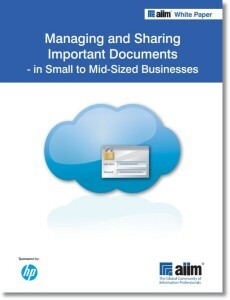 Cloud DMS and file sharing is the safest way to save and transfer confidential documents, like tax forms. The extra security delivered through these sophisticated systems defends your clients, your business and your bottom line revenues. It ameliorates risk from compliance and regulatory requirements (i.e. SEC, FINRA, HIPAA) and is an simpler and safer method of transferring data than email, FTP or physical document distribution. DMS hosting and file sharing allows for accelerated and more precise access to information, which not only improves workflow productivity, but also quality perception from clients (the faster you respond to clients, the more organized you look and the happier they are). Get a demo or take a test drive of Cloud9’s award-winning virtual cloud solution and join over 8,000 financial professionals and business owners who have already made the leap to cloud computing and paperless!